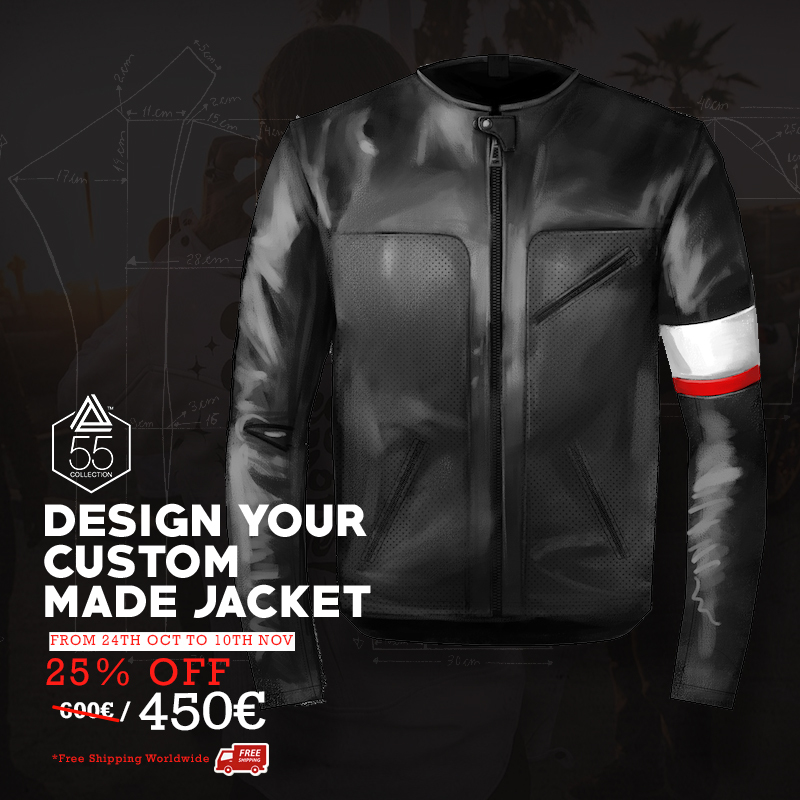 When you place your order, a jacket is made especially for you and we would appreciate you taking the time to be as sure as you can in choosing the size you need. We understand it is not easy to buy a jacket over the internet so please feel free to email us for any help you need. Please bear in mind 55 Collection leather jackets fit very close to the body and run smaller than regular jacket sizes. Your own chest measurement needs to be at least five centimeters smaller than the jacket itself. If you choose the jacket size that measures exactly the same as your own chest, it will be literally skin-tight.